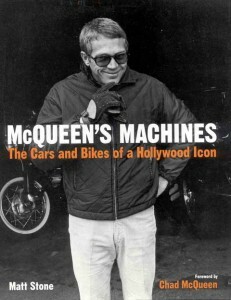 In view of the fact that cars and bikes feature so prominently in McQueen’s film work and private life it’s kind of amazing that of the many, many books written about him, most go no farther than saying he “liked” cars. 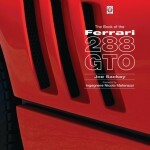 The idea for doing a book on just the cars and bikes came about when Stone worked on an article for Motor Trend magazine (whose executive editor he is) on McQueen’s Ferrari Lusso and a conversation with the actor’s son Chad (who wrote the Foreword) about McQueen’s very particular tastes gave them both a “Eureka!” moment. First published as a hardcover in 2007, this softcover reprint came out just in time for the 30th anniversary on November 7 of the actor’s death (at age 50, of cancer). The book offers a look at the plentitude of earthbound modes of personal transport—cars and motorcycles (of which he owned some 200 over the years)—McQueen so enjoyed; it mentions one of his other great passions, airplanes, only in passing. A man is—hopefully—remembered for more than his toys, and Stone takes pains to paint a multi-faceted picture of a man who in his private life was quite different from his movie persona or public image. The book is descriptive inasmuch as its primary focus is on what McQueen had and did with it more than it is interpretative in terms of examining the root causes behind his motivation in motivation. When all is said and done, all the reader is left with is the somewhat superficial notion that the man had innate talent and a well developed competitive streak. McQueen himself once said, “Billy Graham once asked me what my religion was, and I told him, ‘It’s the desert, the grass, the sun in the sky—and my wheels.’” Discuss amongst yourselves. This quote, and much other first-person commentary of McQueen’s, is from the two biographical works by William F. Nolan, one of the few journalists he took serious enough to open up to. This book benefits greatly from having been permitted to draw on the existing, extensive literature and it incorporates input from a large number of people who knew McQueen. Stone does not seek to rehash what the more than 20 bio- and filmographies have already covered so he refers to and uses their work where it is pertinent to his story. Of particular note would be, for instance, some of the photos McQueen’s third and last wife Barbara [Minty] McQueen [Brunsvold] used in her 2006 book The Last Mile. That book offered candid and until then never before seen photos from the last few years of their lives together when McQueen eschewed having his picture taken by anyone but her. 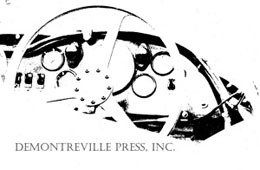 There are, however, also some photos that are entirely new to the record, such as Dave Friedman’s early McQueen racing photos, and photos of four of the especially interesting cars were commissioned from Evan Klein. 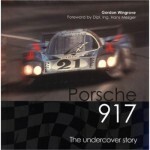 Separate chapters cover McQueen’s personal cars, movie cars, racing, and (written by Marc Cook) motorcycles. A closing chapter discusses the two auctions (1984 and 2006) that disposed of those parts of the McQueen collection that had not already been sold (for sometimes as little as $1) to acquaintances or been willed to specific people, Ford’s role in promoting the actor’s name posthumously, the 2001 Bullitt Mustang, and McQueen’s association with watch company Tag Heuer. Two 1966 magazine road tests he did for Sports Illustrated (on cars) and Popular Science (on bikes) are reproduced. Several sidebars present Stone’s driving impressions of various McQueen cars; the plastics, engineering and racing activities of Solar Productions; the Porsche 911 in the movie Le Mans; and observations on McQueen’s racing prowess by fellow actor/racer Tim Considine. About half a dozen of the cars considered the most iconic are given a multi-page treatment that details their history, McQueen’s thoughts about them, and ownership and restoration notes. The photos in this section are oddly out of synch with the text (cf. the XK-SS article is for no obvious reason interrupted by pages of Lusso photos whose coverage begins a few pages later). 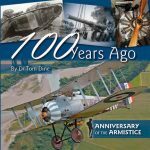 All the photos are captioned and credited; the thorough Index is divided into vehicles (first by year then by name)/people, movie/TV shows, and a general listing.